App Builder is a complete visual development environment for Microsoft Windows that allow us to create, with or without programming skills, HTML5 apps, WebApps, Progressive WebApps, WebExtensions and Hybrid apps for both mobile and desktop. If you want to create modern desktop and mobile applications then you're in the right place! 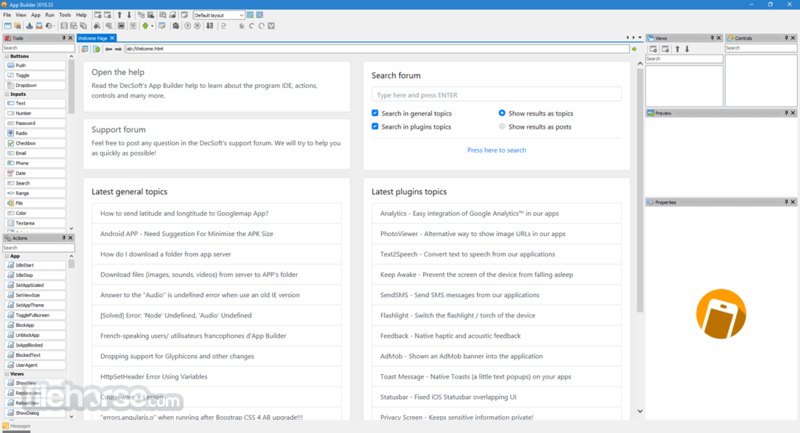 Download App Builder for Windows Now! 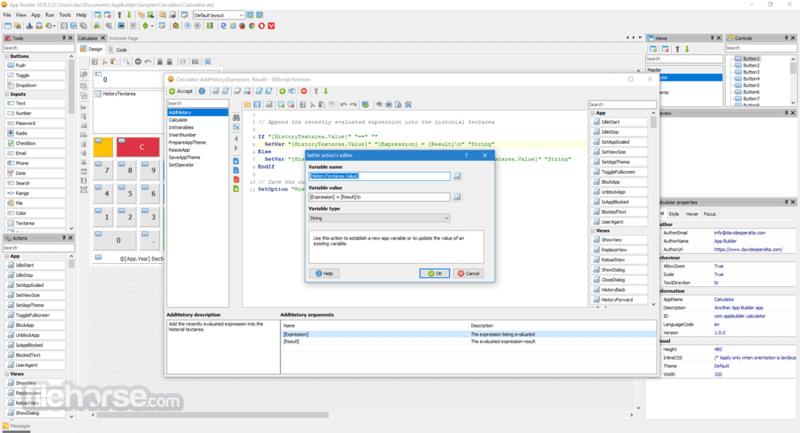 One of amazing feature of DecSoft's App Builder apps is that can run, with one code base, in almost all the platforms. 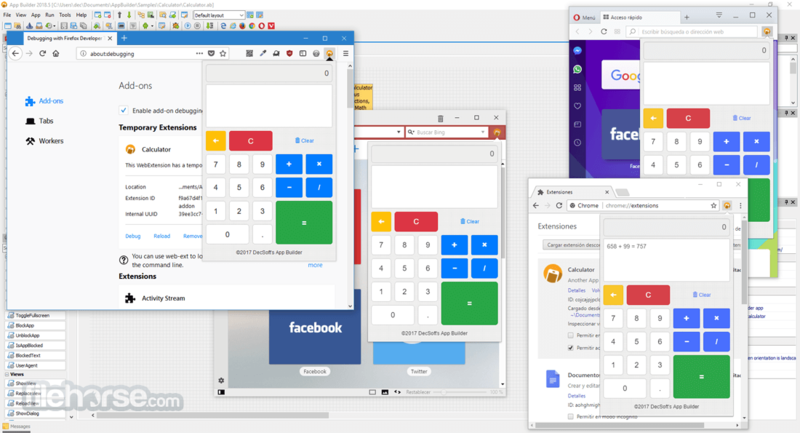 DecSoft's App Builder creates HTML5 apps, Progressive Web Apps and WebExtensions, ready to be deployed, without any other dependency, in all the modern mobile and desktop browsers. Additionally, thanks to the App Builder integration with Apache Cordova, our apps can be also deployed in platforms like Android, iOS, Windows 10 and others. All with one code base! It provide us dozens of visual and non visual controls ready to be placed in the application's designer. Simply drag and drop the control that you need into the designer and then place it where you wanted. It prepares for you the required stuff to deploy your applications as WebApps and Progressive WebApps. 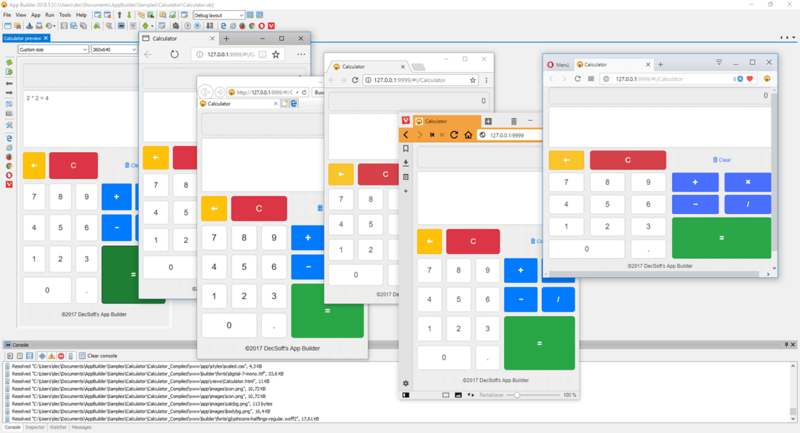 App Builder also allows you to develop WebExtensions for the modern browsers. It include by default 22 different themes that we can use from our apps. We can choose one or more of the themes to be included, and, change it in designtime and also in runtime just using one action. The software is integrated with Apache Cordova and their plugins and prepare for you the appropiate icons and splash screens, configuration files, signing files and batch and shell scripts in order to run, debug and release our apps quickly. It include a command line compiler in addition with the visual environment. In this way we can compile our applications from the command line, simply and fast.